Because of a "Godzilla Reunion" happening at the Dallas Comic Con on May 29 - 31, I decided to do a portrait of each Godzilla suit actor for them to sign. 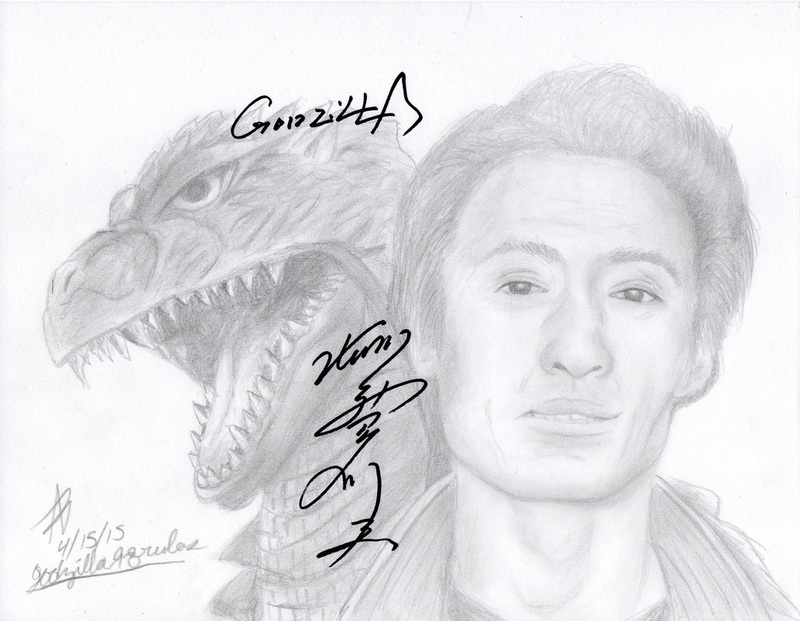 For these portraits, I decided to draw each actor next to their respective Godzilla character they played, to make them more interesting. 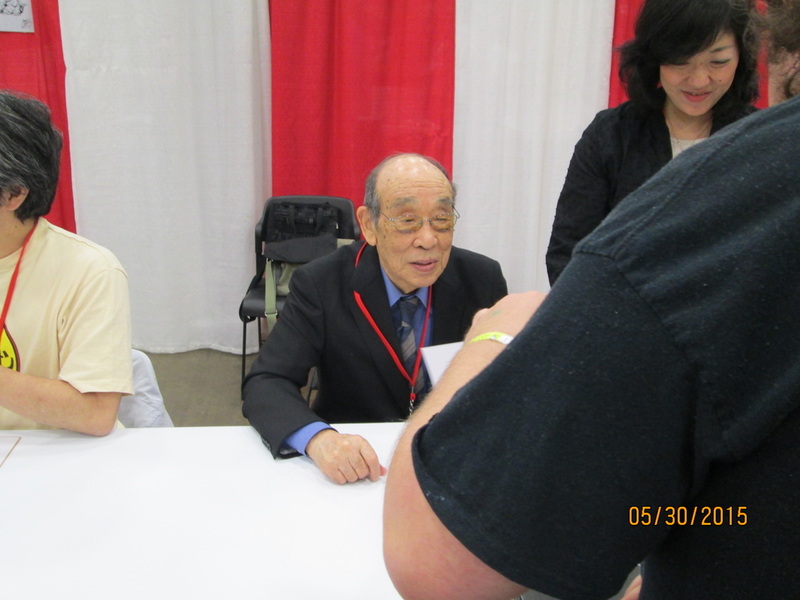 Haruo Nakajima wore the Godzilla suit from 1954 to 1972. I think he came out okay, but he's the least detailed of my three portraits because the best reference photo I had was very bright, so I could get much value in the face. I do believe that I captured his likeness. Nakajima liked it enough that he had to look at it a second time before giving it back to me. 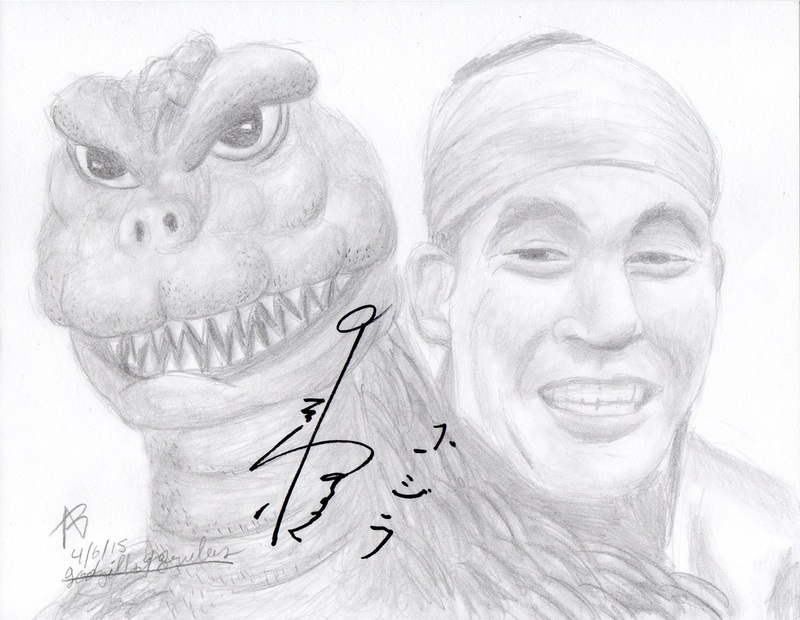 Kenpachiro Satsuma wore the Godzilla suit from 1984 to 1995. This one came out better than Nakajima because of a better reference photo. I captured his likeness better as well. He was very excited when he saw it. He greatly smiled, shook my hand and said thank you. 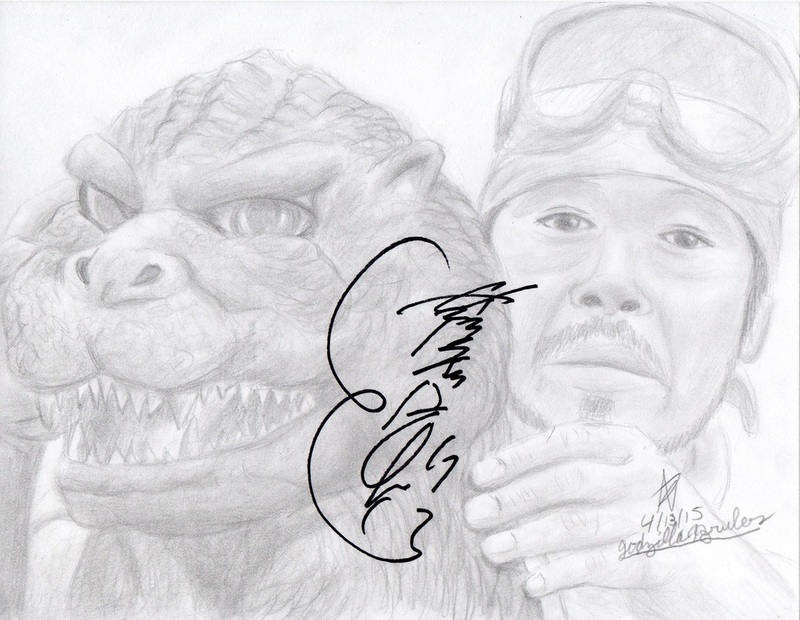 Tsutomu Kitagawa wore the Godzilla suit from 1999 to 2004. This one came out the best between the three. I had a lot more value put into it and I think it's the best likeness between the three. Like Satsuma, he was excited when he saw it. 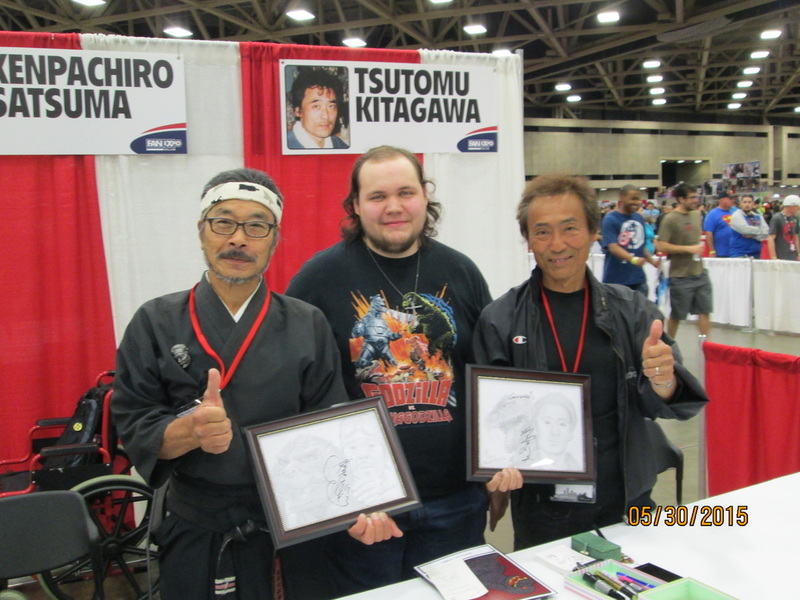 Both him and Satsuma were talking about my portraits and Kitagawa also said thank you to me.